The sun and the moon and the stars and all else in nature add beauty, life and energy to this world just by being there. In the same way, a realized soul inspires people by his mere presence. Pujya Gurudev (Swami Chinmayananda) emanated the essence of his radiant Self to one and all. 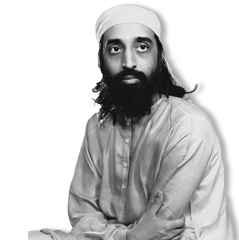 His very presence inspired people to work in a spirit of dedication and devotion, purifying their minds to blossom forth as their natural Self. Absorb the teachings of Vedanta, until they become the very essence of your spiritual existence. Live every word conscientiously. You change! And the world around you will change. 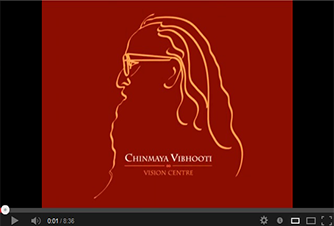 Show the Vision of Swami Chinmayananda so that it is properly understood. Provide continuous Inspiration to remain clear and focused on the Vision. One way that this objective is fulfilled is via the many spiritual camps which take place at the Vision Centre. Since inspiration involves feelings, it is only when there is love that people feel enthusiasm and motivation to do something. Impart training to ensure maximum efficiency. We want people to come here, to derive inspiration, get vision, get training, and then go back and spread this work by doing their best, by lighting up the places to which they go. Chinmaya Vibhooti – the tree of learning gives each traveller the jnana and inspiration to learn, develop and give back to society the knowledge learnt. \n"); var videolink =$(this).find("link").attr('href'); //alert(videolink); var arr = videolink.split('='); //alert(arr); var emb_id = arr; //alert(emd_id); var finalemb = emb_id.split('&'); //alert(finalemb); // $("#datefrom").html(""+arr + "" + arr+"embed"+arr); jQuery("#youtubevideo").append("
" + $(this).find("media\\:title").text() + "